On her sixtieth birthday, Auntie Poldi retires to Sicily, intending to while away the rest of her days with good wine, a view of the sea, and few visitors. But Sicily isn’t quite the tranquil island she thought it would be, and something always seems to get in the way of her relaxation. When her handsome young handyman goes missing—and is discovered murdered—she can’t help but ask questions. Soon there’s an investigation, a smoldering police inspector, a romantic entanglement, one false lead after another, a rooftop showdown, and finally, of course, Poldi herself, slightly tousled but still perfectly poised. 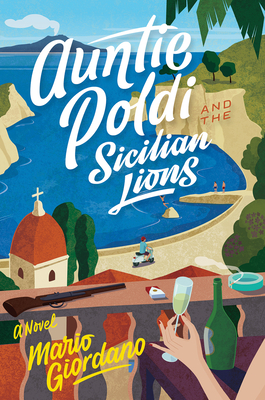 This “masterly treat” (Times Literary Supplement) will transport you to the rocky shores of Torre Archirafi, to a Sicily full of quirky characters, scorching days, and velvety nights, alongside a protagonist who’s as fiery as the Sicilian sun.